The Self Sufficiency Series encompasses sustainable living, natural building, and basic survival skills training offered at Alderleaf Wilderness College. 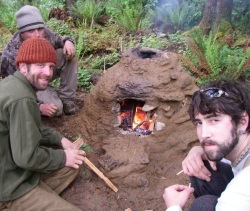 Through three summer courses, learn permaculture design, cob construction, and wilderness survival skills. 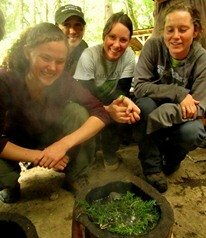 Gain a set of skills to apply towards sustainable living, self reliance, and beyond. Each class in the Self Sufficiency Series is designed to fit together or stand alone as specific skills training. You can pick and choose or register for the entire series. Copyright © 2006-2019 Alderleaf Wilderness College. All Rights Reserved. Get a free copy of our survival mini-guide, Thriving in the Outdoors: The Six Keys to Wilderness Survival and monthly tips! Get a Free Copy of our Survival Mini-Guide and Monthly Wilderness Skills Tips! Join the free Alderleaf eNewsletter for instant access.